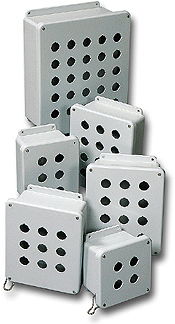 Shop Stahlin Enclosure Products Here! 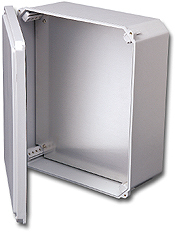 Stahlin Enclosures is committed to providing the highest level of quality in non-metallic enclosures. 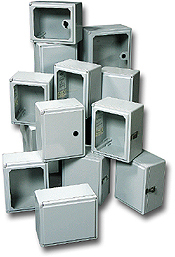 Stahlin has been manufacturing electrical enclosures for well over 40 years. What started out as a solution for excessive corrosion in a gulf coast oil platform application has become a diverse product offering for a wide variety of industries providing solution to solve everyday problems. Stahlin offers a wide range of products from over 15 different product families. 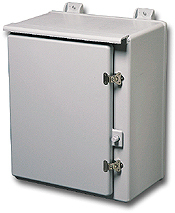 Stahlin also offers its ModRight and FormRight programs. These programs provide a service to engineers and designers that help them with solving problems that standard off the shelf products can not solve. From custom designing non-metallic enclosures to custom composite formulations, Stahlin has the technology and service support to help with even the most demanding applications. For more information on specific products, or to request a quote, please use our Contact Form or feel free to contact us directly using the information above.